For many bands, the idea of taking on a producer after never having one before can be a scary reality. But that was not the case with the Local Natives. For its second full-length album, this year’s “Hummingbird,” the Los Angeles-based indie rock band collaborated with The National’s Aaron Dessner, and due to the already collaborative nature of the group, bringing in another personality was less of a challenge and more of a welcome experience. Of course, by the time Dessner entered the picture, most of the songs on the album had already been written and recorded as demos, but Hahn shared that Dessner helped the band push the music in new directions, something he said is apparent in the way the songs turned out. This time around, however, the group focused on experimenting more, which involved scaling back on the use of layers. In turn, he admitted this composition technique has affected the older songs and the way they are played, if at all. “Certain songs seem like they…have aged better than others,” he said, sharing that the members only still play the songs that they feel remain relevant. Of course, the music isn’t the only thing that has progressed, as the lyrics on “Hummingbird” are much more open and emotionally vulnerable. Additionally, Hahn explained that the songwriting is done collaboratively with himself, guitarist/bassist Taylor Rice, and vocalist/keyboardist/guitarist Kelcey Ayer, all three of whom are founding members. Meanwhile, drummer Matt Frazier isn’t so much a part of that process. Hahn likened songwriting in Local Natives to a checks and balances system, although the penning of lyrics varies in its format, with whoever brings the song to the table being the one who writes the bulk of it. Overall, though, Hahn said the goal of the album was to stay true to themselves, in whatever form songwriting took on. After some promo dates that occurred at the end of late year, Local Natives are on a European tour from Feb. 16 through March 9, which will be followed by a national tour in the U.S.
Of course, navigating the relationship between the members can be challenging, because of the close quarters they keep, both on and off the road. But ultimately, the pros far outweigh the cons. 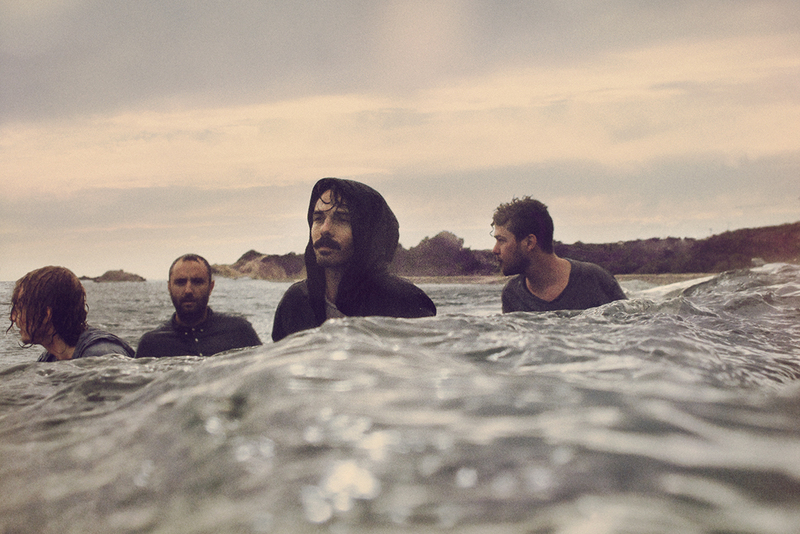 Local Natives play tonight at Comet Club in Berlin. The show begins at 21.00. This entry was posted in Interview and tagged American, Feature, Interview, Local Natives. Bookmark the permalink.